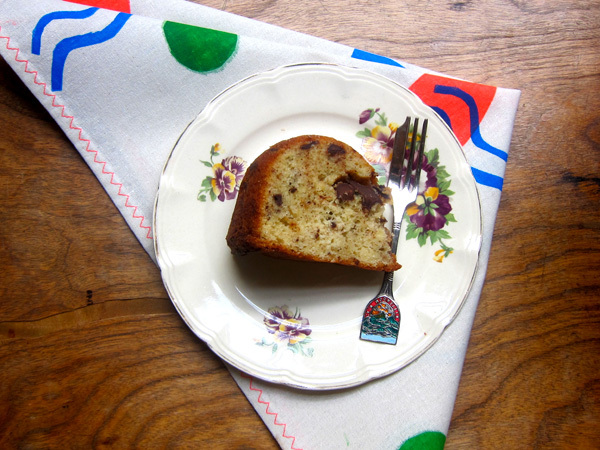 Every time I make this cake, I am always hesitant to introduce a beautiful bar of rich dark chocolate to a fat, sludgy, sleazy over ripe banana. I always imagine its like setting Danny DeVito up with Sofia Vergara. The idea is confronting, but the outcome is wonderful. 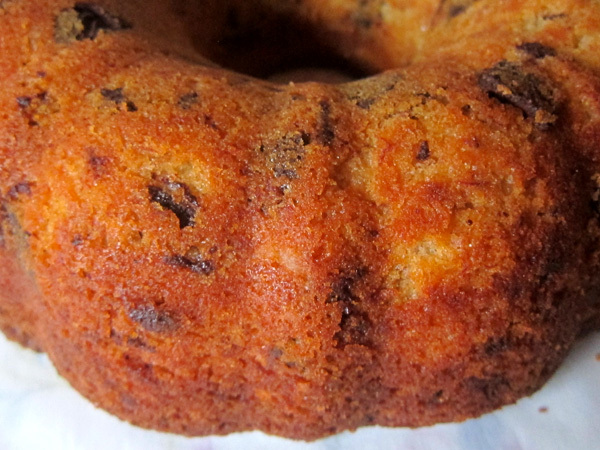 The idea of mixing banana with chocolate is as tried and tested as the vanilla cup cake. I’m not breaking any new territory with this blog post, however this recipe is wonderful, easy, and classic. The cake its self is moist, dense, delicious, and last for ages. It even tastes better the next day. The chocolate in this recipe is optional. You could leave it out, or replace it with anything you like. 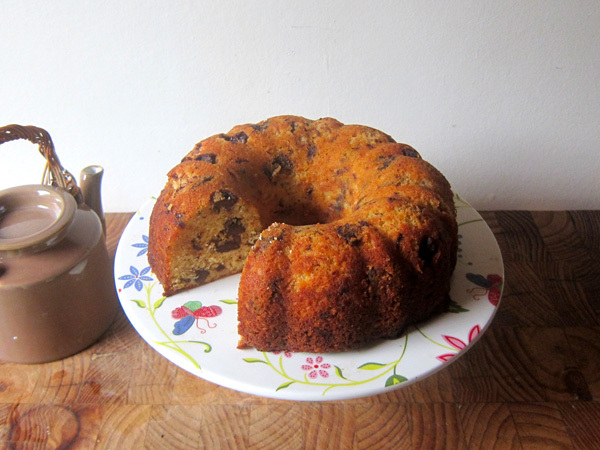 I’ve made it once with dates, and served it with a caramel sauce – HELLO! Preheat your oven to a big ol’ BORING 180 degrees. In a large mixing bowl and using your hand held mixer, beat the sugar and butter together until it is light and fluffy (3 minutes). Add one egg at a time, then add the milk and smashed banana and mix until well combined. 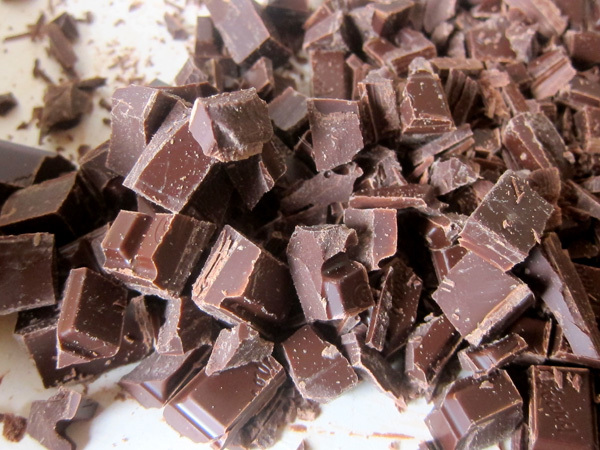 Chop your chocolate into chunks and place in the other large mixing bowl. Sieve your flour over and coat the chocolate (this is so the chocolate chunks stick to the batter, and don’t sink to the bottom – HOT TIP). 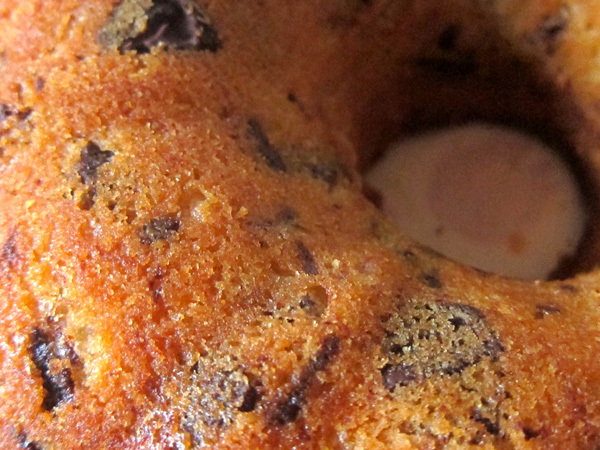 Fold the flour into the wet mixture until combined and pour into a greased bundt tin. Bake for 40 – 50 minutes. Serve hot or cold – DELISHIOSO!